Handmade collars made from finest soft leather. 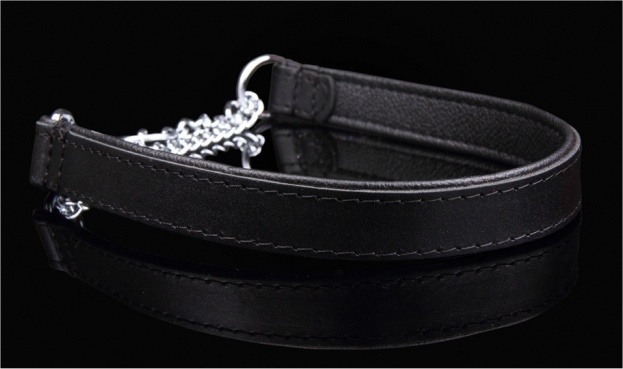 These top quality dog collars are a perfect combination of style, comfort and durability. Half-check collars can be useful when teaching a dog to walk to heel. 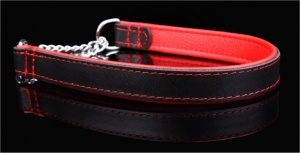 Available in a choice of colours and sizes up to 65cm, we highly recommend these collars. Size is total length including chain.